Overnight trains are a fantastic means of transport across Turkey. The Turkish railroad is operated (and heavily subsidized) by the national government. 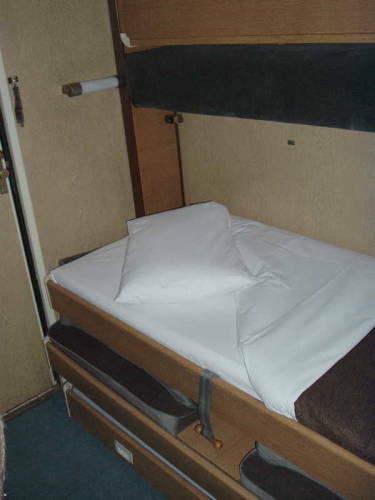 A private first-class sleeper compartment for one or two on routes joining major tourist destinations provides Orient Express luxury for about US$ 30-40. In order to get a sleeping compartment and not the cheaper seat in coach, make sure to ask for it by name, yataklı vagon. Especially useful routes include İstanbul—Ankara, İstanbul—Denizli (and thus Pamukkale, Heiropolis, Aphrodisias, and Laodykia), İstanbul—Konya, Ankara—İzmir, and Ankara—Adana. Yes, a train takes 12 hours to cover a distance that an express bus covers in 8, but you got a night's lodging and didn't waste a day jammed in a crowded bus. And don't even think about overnight buses! Buses are fine for a hop of a few hours, but if you have a long distance to travel, look into a train! The National Railways of the Republic of Turkey, Türkiye Cumhuriyeti Devlet Demiryollari, or TCDD, has a web site. Great stuff — schedules, complete route map, etc. — but unfortunately it seems to be only available in Turkish. The only English section is about the international connections to Bulgaria, Romania, and Iran. There used to be train service between İstanbul and Greece, but in 2011 Greece shut down all international rail connections despite having an economy that depends heavily upon tourism. Be aware that some cities are listed on Turkish schedules by the name of the station rather than the name of the city! İstanbul has two train stations. Sirkeci is next to the Golden Horn on the European side of the Bosphorus, with international connections through Bulgaria to Romania and beyond, plus commuter service to İstanbul suburbs. Haydarpaşa is on the Asian side, with many more trains per day to destinations throughout Turkey. İstanbul is commonly listed as Haydarpaşa or just H'paşa at Turkish train stations. Similarly, İzmir is listed as Alsancak and possibly as Basmane and Eskişehir is listed as Enveriye. This is as if Amtrak service to New York listed its destination as Pennsylvania Station, which it is, without mentioning that it's the Pennsylvania Station that happens to be in New York City. This U.S. Government map shows most of the cities mentioned in the below schedules, and it shows rail lines in black. 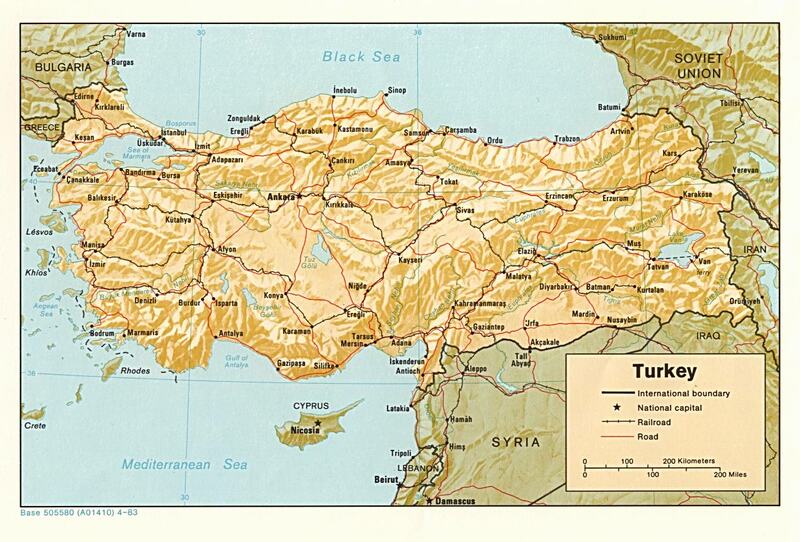 For more detailed railway maps of Turkey and many other countries, see the Railways Through Europe site. Lots of trains run about eight hours overnight between İstanbul and Anaka plus express daytime trains. 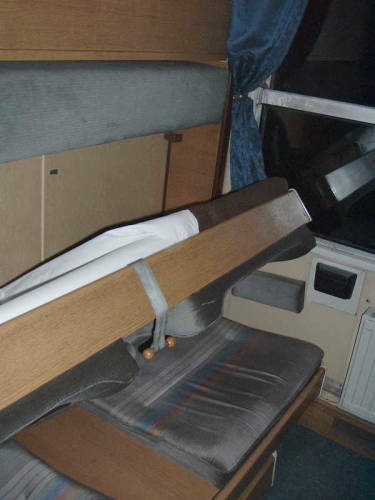 The Ankara Ekspresi is one of the nicest overnight trains in the world. 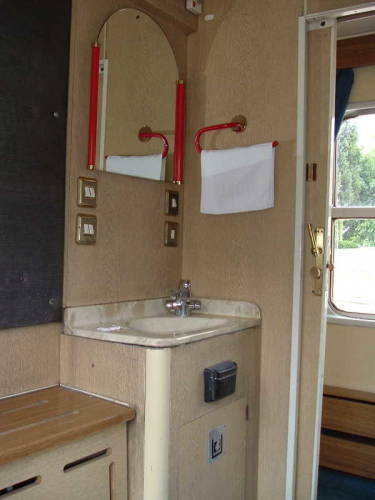 It has brand-new sleeper cars, they even have showers! It costs a little more, but is worth it - about US$ 40 for a compartment to yourself, or US$ 65 for two people. Traveling from İstanbul to Cappadocia, you might take an overnight train to Ankara, see a few sights there in the morning, then continue by bus to Cappadocia. All of these have kuşetli (couchette berths in shared cabin) and yataklı (private cabins). Denizli is 15 minutes by dolmuş from Pamukkale, and about 2-3 hours by bus from Ephesus. This is especially good for the north-bound route, as otherwise you spend all day on a bus only to arrive in İstanbul at rush hour! 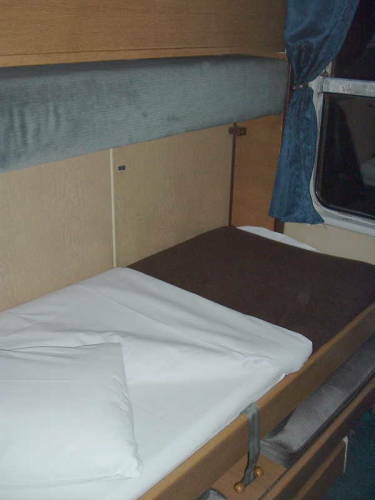 This has couchette berths and private cabins in addition to coach seats. 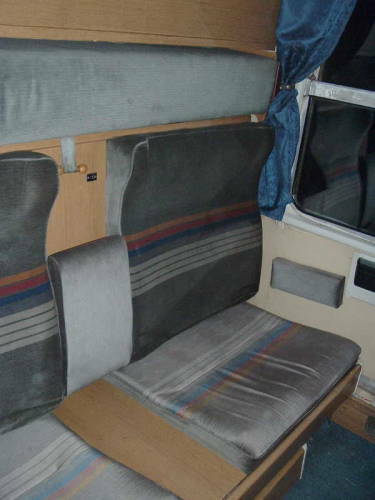 These have couchette berths and private cabins in addition to coach seats. Possibly of interest for the Adana-Malatya segment, a long day on a train versus a long day on buses. Agatha Christie fans would know this as the setting for very first part of Murder on the Orient Express, as Poirot first makes his way from Aleppo to İstanbul by train, crosses the Bosphorus, and only then gets a ticket for the Orient Express toward central Europe.